Across the public-sector landscape, we see leaders bringing forward bold new strategies and tactics to improve public value. From co-creating programs with the public, to redesigning regulations through real-time analytics, to building new digital services, the future is poised for citizen-centric transformation. Yet polls around the world show that citizen satisfaction and confidence in the public sector has never been lower. Effectively meeting the public’s needs and restoring their trust demands more than inventing new visions and models for government – it requires leaders to drive the structural changes needed to realize value and impact. 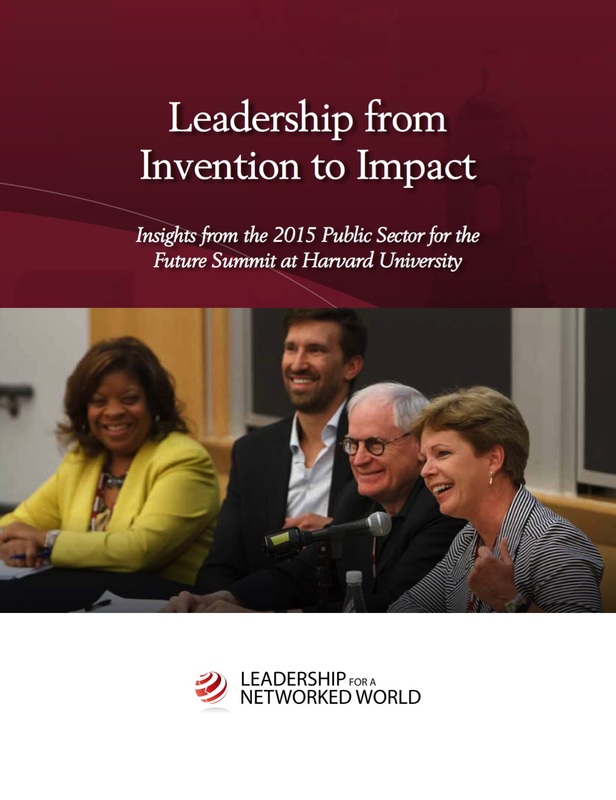 To help leaders answer tough questions, and set a vision for the future of their organizations, Leadership for a Networked World and the Technology and Entrepreneurship Center at Harvard, in collaboration with Accenture, are convening the 2015 Public Sector for the Future Summit: Leadership from Invention to Impact. This annual Summit is designed not only to help participants explore, adapt, and implement near-term innovations, but also guide their formation of longer-term strategies. The Summit’s agenda is created in collaboration with public officials who have both policy and operational roles, and integrates insights from industry luminaries and Harvard researchers and faculty. Join us on the Harvard University campus June 2 – 4, 2015, for this landmark event. Together, participants will enhance their leadership skills, share insights, and learn practical tools to sustainably transform their public enterprises.